The historic Ames Boston Hotel, a member of the Curio Collection by Hilton™ and of the Gemstone Collection by BENCHMARK®, a global hospitality company, inspires both modern style and old world sophistication. An experience rich with elegant interpretations, complemented by innovative new design, Ames Boston Hotel offers Bostonians and visitors, alike, a dynamic hospitality experience. The hotel recently launched a set of #FindYourBoston Experiences, which are expertly curated packages to match the traveler profile of five different types of guests: Adventurer, Artisan, Foodie, Historian, and Sports Enthusiast. 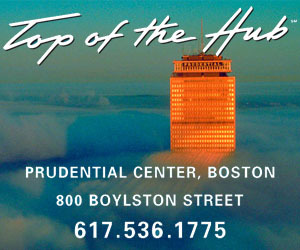 Each experience includes premium accommodations and expertly curated itineraries featuring the best Boston has to offer. Ideally located near historic Faneuil Hall and Beacon Hill, the 114-room hotel boasts an atmosphere that is refined yet playful, a state-of-the art fitness center, and suites accented by dramatic, Romanesque arched windows and original fireplaces. Ames Boston Hotel is located at 1 Court Street and can be reached by calling 617-979-8100 or visiting www.amesbostonhotel.com.